You can always count on the classic inflatable house or castle to keep kids bouncing. The beauty of these units is that they’re available in many varieties. You can choose units decorated with imagery of space travel, westerns, princesses, dinosaurs, and many other themes. You can also find houses decorated with characters and scenes from your child’s favorite movie, book, or TV show. It’s easy to plan your bounce house party with a great theme in mind. Plus, the structure of the inflatables themselves makes for a safe and exciting environment in which children can bounce around. 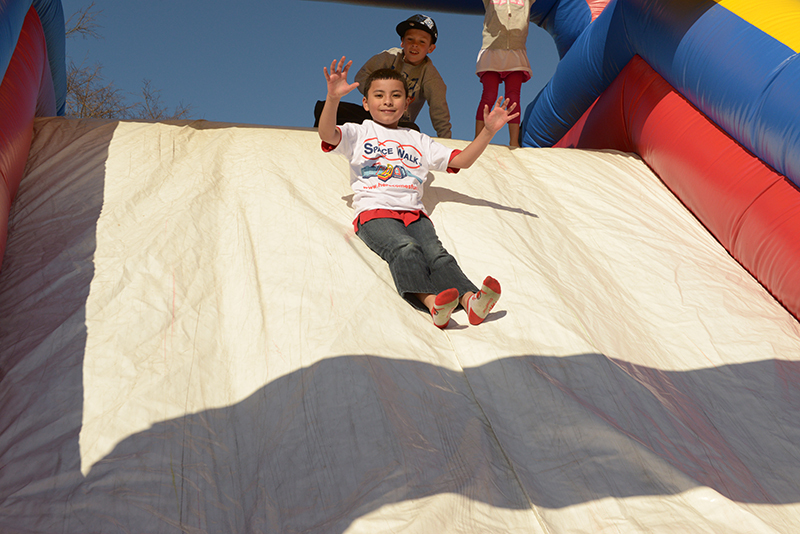 Inflatable slides and water slides are another great way to thrill the kids. These also come in a ton of different shapes, colors, and themes. Water slides are perfect for summertime shindigs, allowing kids to cool off as they play. Most even have two slides side by side, so your kids can race each other! 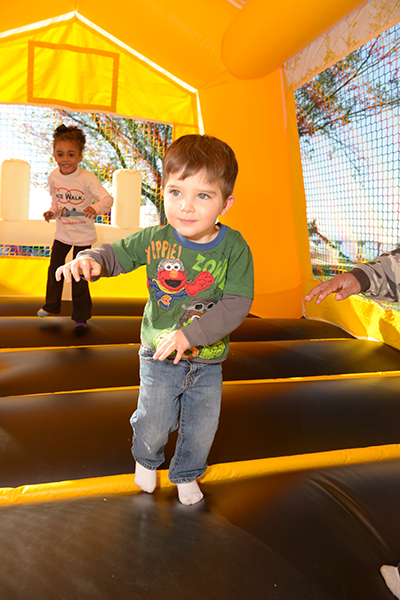 An inflatable obstacle course adds a whole new level of fun to your child’s party. Two competitors can square off for a good old-fashioned race, battling their way up inclines and down slides in order to secure victory. These obstacle courses lend your bounce house party a more structured, less repetitive activity than basic bouncing or sliding. You can double up on entertainment by decking out your yard with a combination setup. 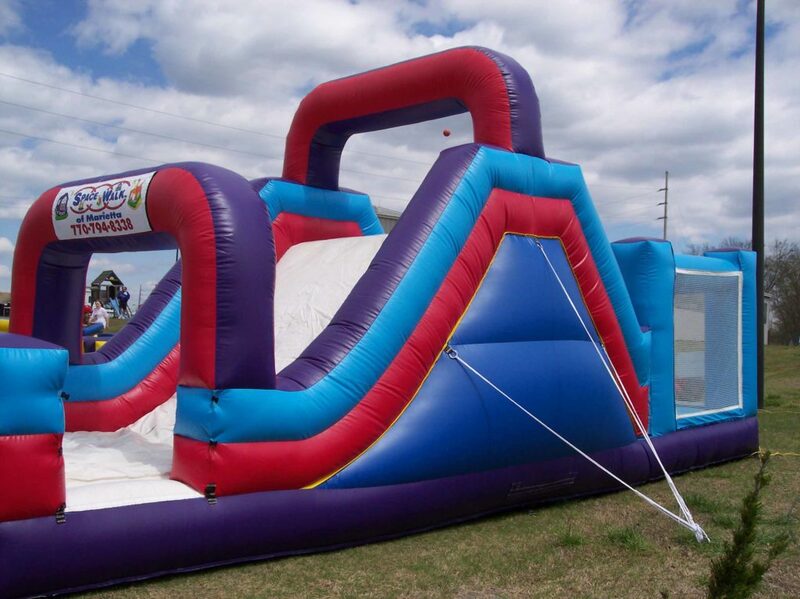 Some inflatables offer multiple attractions at once by combining a bouncer, a slide, a climbing obstacle, and more into a single unit. 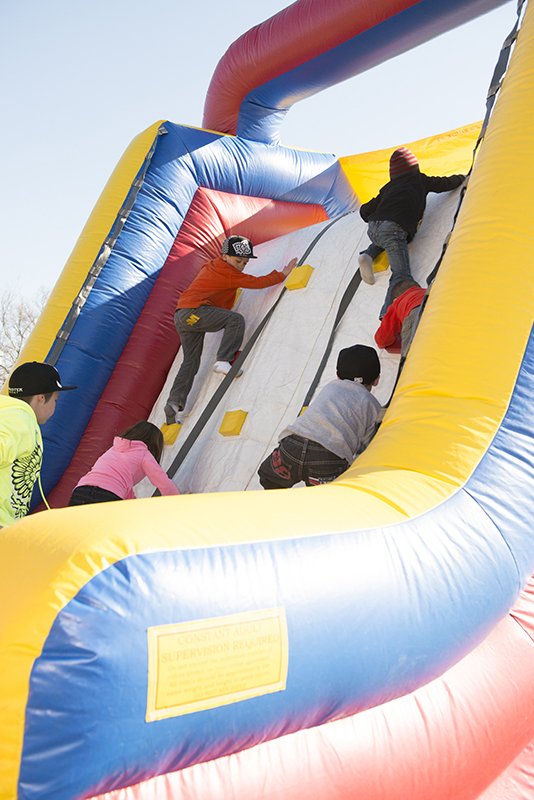 Kids – and even some adults – will love you for throwing a bounce house party for all to enjoy. With so many great options to ponder, inflatables are a surefire way to spice up everyone’s experience. Learn more about throwing an inflatable party with our guide!